The Los Angeles Department of Water and Power wants to make sure Pacific Palisades has enough electricity for its increased population, larger house sizes (most built without solar), electric vehicles and the need to run computers and charge electronic devices. Given the vocal opposition to building a new distribution station in the western part of town (because residents don’t want one in their back yard or near a school), the DWP needs to install “temporary” 61-ft. pole-top distribution stations. Pole-top distribution station is proposed. DWP’s frustration in providing long-term electrical reliability is evident in a Nov. 21 letter from L.A. City Deputy Attorney Tina Shim to Attorney Alex Cornelius, who represents Steven Somers, the new property owner at 16980 Sunset Blvd., where the famous Bernheimer Gardens were located in the 1930s and ‘40s before succumbing to a landslide. The DWP plans to build a pole-top distribution station in the parkway on this property, just east of the western terminus of Marquez Avenue. Evidently not all of the community was informed about the PTDS site-selection process. “Immediately on closing on the property [in October], we got together with the neighbors, with the Pacific Palisades Residents Association, the [adjacent] apartment owner and its tenants,” Somers told the News before Thanksgiving. “Everyone who lives here doesn’t want to see the poles.” He hopes to build three homes on the property. 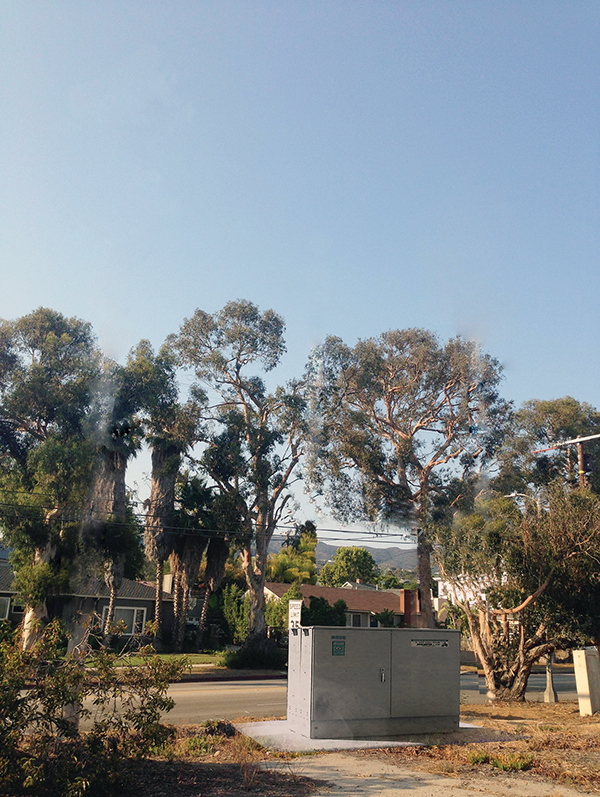 To recap, the electrical substation built in 1935 on Sunset and Via de la Paz, now directly adjacent to a condominium building, is not capable of providing reliable electricity to all of Pacific Palisades. A new distributing station (No. 104) needs to be built. The DWP sought to place the substation on land it owns just west of Marquez Elementary, but was drive away by strenuous neighborhood opposition. Currently, the only alternative for reliable electricity, according to the DWP, are 61-ft.-PTDS’s. The utility has also warned it will need to install additional poles if a new substation is not built. Initially, one PTDS was supposed to be installed on Marquez Avenue at Ida Street and a second on El Medio, south of Sunset. Neighbors in those locations argued they did not want the large industrial-looking poles. At a March meeting with residents, Councilman Mike Bonin asked for alternative sites. 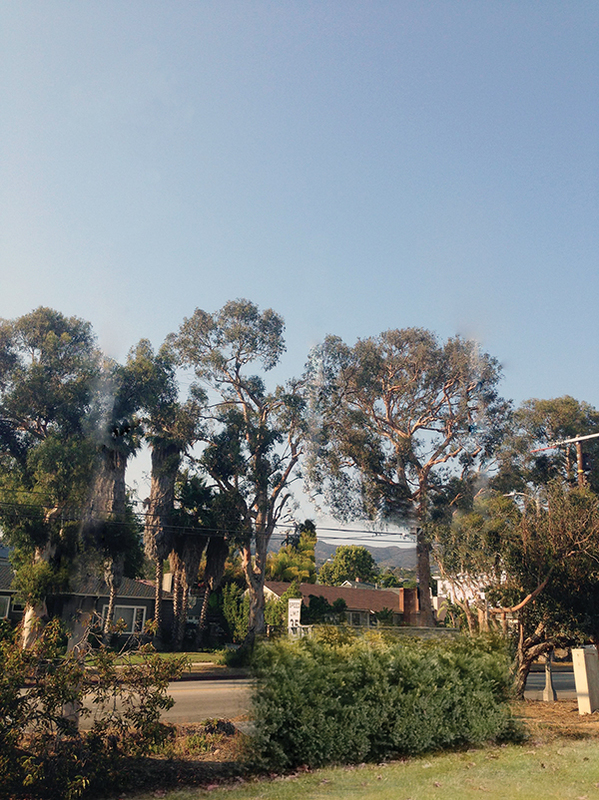 Some residents recommended Sunset and Temescal, and others cited Sunset near western Marquez Avenue as more desirable locations. Unfortunately, the large number of people who live in condominiums and apartments on Haverford were not notified of the PTDS station now under construction. Nor was the owner of 16980 Sunset, residents in the adjacent apartment building, or the people across Sunset. 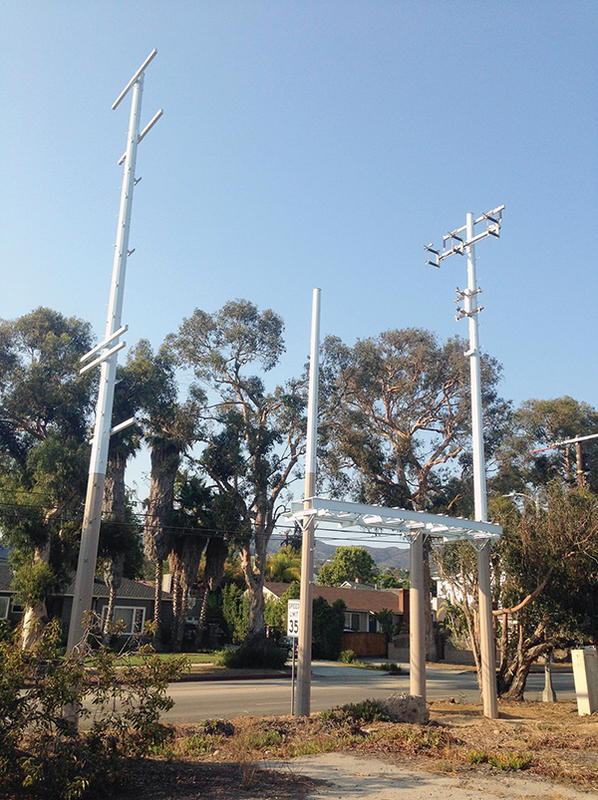 The poles went up at both locations, but the stations were not yet completed when the city realized they were illegal, because they lacked a Coastal Development Permit. Coastal permit hearings were held Oct. 18 and Nov. 9, and LADWP learned for the first time there wasn’t “overwhelming” support for either location. A petition opposing the poles has been posted on the Pacific Palisades Residents Association (PPRA) Facebook page, and 239 people had signed it through Nov. 30. Pad-mounted transformer hidden by vegetation. Somers asked DWP if pad-mounted transformers could be installed instead. He was told that they were not feasible, even though professional electrical consultants he had hired, disagreed. According to DWP, a pad-mounted transformer would put the cost at $1.5 million (the cost for the PTDS on Sunset is already more than $1.23 million; a new substation was earlier estimated at $4 million). “[The extra cost of pad-mounts] would be borne unfairly by all customers throughout the city,” the letter stated. Conner also noted that Sunset Boulevard is a designated scenic highway and that accordingly, all new utilities must be put underground to the maximum extent feasible. LADWP told Somers, “Although drawings in your letter seem to demonstrate that the entire project could be placed underground, in fact, overhead electrical lines are still necessary because the existing overhead lines will receive the power. The DWP argued that time is of essence and to change the design would mean it could take up to a year before construction could start on an alternative.